Home » ARCHIVE, Home, INTERVIEW » Mutual Respect a Must for U.N.
Mutual Respect a Must for U.N.
By Erol Avdovic – UNITED NATIONS (Webpublicapress) NEW YORK– Mr. Danilo Turk, who served as the president of the Republic of Slovenia from 2007 to 2012, will be a candidate for the new United Nations (UN) Secretary General — he told Webpublicapress (WPP) in an exclusive interview in New York earlier this week. Mr. Turk pointed out — his 30 years experience of working with the UN — makes him a credible candidate to become a successor of the current UN chief Ban Ki-moon. Under the UN Charter, candidates for Secretary General are chosen by the five geographical groups: Western European and Others, Eastern European, Latin American and Caribbean, Asian-Pacific and African group. Only the Eastern European group has never had its UN Secretary General since the founding of the World Organization in October 1945, in San Francisco. Mr. Turk was in New York this week to participate in the special session of the UN meeting on social development on behalf of Madrid’s Club (Organization of former heads of states and governments). “Obviously, my presence here coincides with the time when there is an informal discussion of the Eastern European group about the future UN Secretary General,” Mr. Turk told AA. He said — there is interest in this group of 23 UN member states for him — to succeed Ban Ki-moon at the end of his (Ban’s) second and last five years mandate in 2016. As it was announced earlier in the Slovenian capital Ljubljana — Mr. Turk will have full support from his government during his candidacy. Turk who was born in 1952, served as Slovenia’s ambassador to the UN between 1992 and 2000, when he was also president of the UN Security Council. 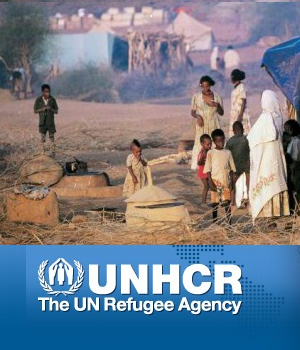 From 2000 to 2005, he was Kofi Annan’s Assistant Secretary General for Political Affairs. Asked about his comparative advantages compared with other possible candidates from the Eastern European group for the new UN Secretary General, including Ms. Irina Bokova of Bulgaria, currently Director General of UNICEF, who could be first woman at the top of the UN, also Foreign Minister of Slovakia Miroslav Lajčak, and others — Mr. Turk said, he “wants to be modest,” avoiding to talk about himself, because others will. “We are two years away from the real process of decision making. So, when various names emerge – they will be subject to thought and the critical examination by the members of the UN,” Turk said. Talking to WPP at the Slovenian Mission to the UN in New York — Mr. Turk noted, United Nations reforms are at the top of his agenda. Yet, he remains only a moderate optimist with a realistic approach when it comes to the reforms and enlargement of the UN Security Council (UNSC) – which, as he said — failed to transform itself in the immediate aftermath of the Cold War. 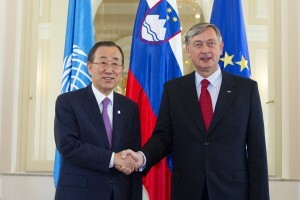 Secretary-General Ban Ki-moon (left) meets with Danilo Türk, President of the Republic of Slovenia. 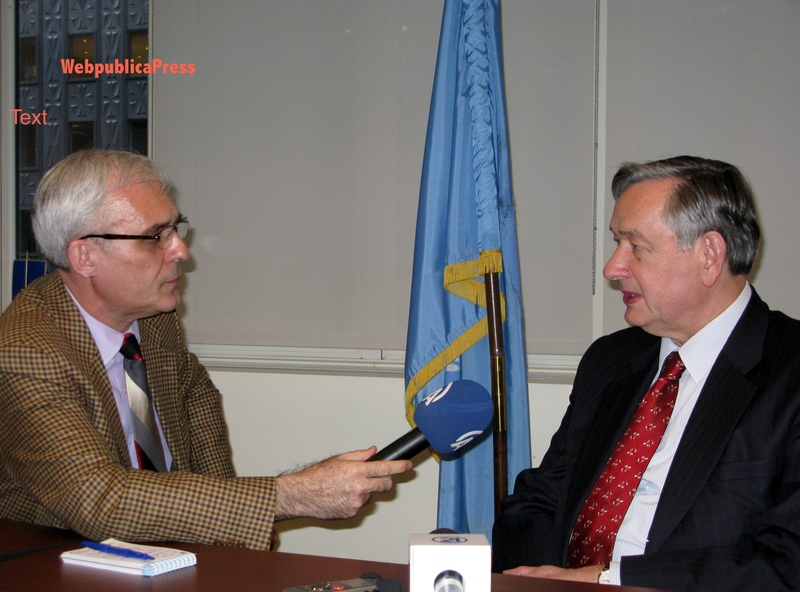 Talking in particular about UN Security Council reforms called to be sped up by many statesmen from Turkey to Germany, India, Brazil, Japan and others – Mr. Turk said he is realistic, but not skeptical – since change is always happening. “I believe that the change of that kind will also happen in the future. At this point, clearly – the political conditions in the world are not right for changes in membership structure of the UN Security Council. We can not believe that this will happen now or in the immediate future,” Turk said, reminding — there are different models how to change the composition of the UNSC. Asked — what are his hopes to receive the support of both United States and Russia, including China – to become the next UN Secretary General, Turk said he believes — he will get that kind of backing at the Security Council, where – the nomination and actual election for the top UN post must occur. “We all, the country successors of former Yugoslavia need higher level of respect internationally. We have a degree of respect, bviously that has to be improved further. I believe such candidature will help in that regard,” Danilo Turk concluded.